So you want to learn the language of love? 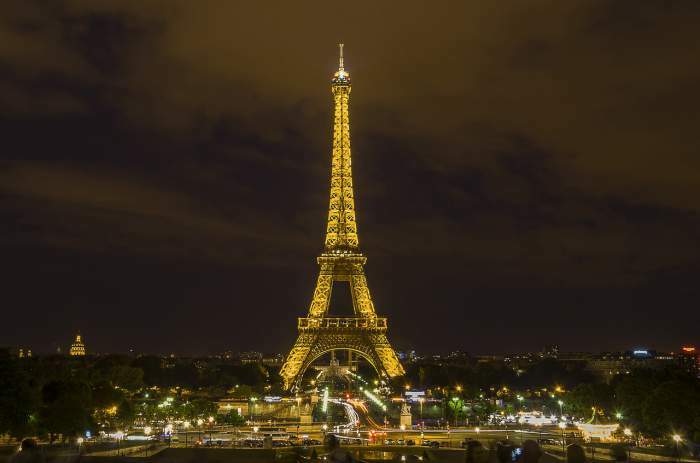 French is spoken by more than 220 million people on five continents. It’s the international language of cooking, film, fashion, theatre, the visual arts and dance. But it’s also a language that inspires fear in learners because of its notoriously tricky pronunciation. But just how hard is it to learn French? Two years ago I wanted to take on a new language challenge and I decided to learn French in … Morocco! In this article, I’m going to show you what it takes to learn French, and you’ll see that learning this beautiful language doesn’t have to take a lifetime. To see if French is hard, I decided to learn it for one month and find out. My goal was simple, I wanted to hold a 10-minute conversation with a native speaker, entirely in French, after only 1 month. Well, this answer depends on a few factors, for example, what your native language is and what your definition of a ‘hard’ language is. Let’s assume that you’re a native speaker of English or that you speak English very well. What does it actually take to become fluent in French? As you can see in the image above they’ve categorised French as a language that is closely related to English and therefore easy to learn. According to different sources, 45% of all English words have a French origin. And that is a lot! Did you recognise all of the words? Pretty easy I guess, but keep in mind that the pronunciation in French is quite different. So, if French is supposed to be an easy language to learn then why are there so many people who say that French is difficult? There are a few things that French learners complain about which might be tricky to learn for beginners. Let’s take a look at some of them. French has a huge number of vowels (whereas Spanish and Italian rarely use more than five). Many of these vowels are new for an English speaker and mastering the pronunciation may take some time. Spanish and Italian are easier than French in this regard. And then, there is, of course, the famous French ‘r’. In the south of the Netherlands (where I come from) we’ve got a very similar ‘r’, so for me, it wasn’t much of a struggle, but I know that it can be a tricky one for native English speakers. It’s only the verb for the third person singular that changes. Now this might seem tricky but the good news is that the difference between written and spoken French is so big that the first person singular (I), second person singular (you), third person singular (he/she/it), and third person plural forms (they) of the verb ‘’manger’’ are pronounced exactly the same despite having written forms that vary substantially. So, the verbs here – je mange / tu manges / il mange – are all pronounced the same way! This works similarly for many other verbs. Perhaps, we could say that the conjugation of verbs is easier than you might think at first, at least in spoken French, as the conjugated verb is often pronounced the same. I found that writing French is a little harder than speaking for this reason. If you focus on speaking and you don’t practice your writing, you will find that it can be pretty tricky to write a text message to someone in French, even once you speak the language well. A trick you can use here is that you make sure you use the auto correction on your smartphone. When you want to write ‘you eat’ and you’re not sure if it should be ‘tu manges’ or ‘tu mange’, you just write ‘tu mang..’ and most of the time it will show you the verb conjugation which is most likely to be correct. In this case, the suggestions for the word are “manger” and “manges”. As “manger” is pronounced differently I’m pretty sure the right conjugation for “tu” here should be “manges”. You could say that I’m cheating here, but why not use technology when it’s available? Texting in French (with auto correction) is also a fun and useful way to practice your writing skills. Does Irregular Spelling Make French Hard? French is not a phonetic language which means that you can’t really tell the way a word is pronounced by the way it’s written. The thing is that English isn’t a phonetic language either and yet people from all over the world manage to learn to speak it. In French, many letters are silent, when they appear at the end of words. Usually, the letters b, c, f, k, l, q and r are pronounced when they appear at the end of words (although b, k, and q are rarely final consonants). So, for example, the word “parler” (to speak) has a silent r at the end. Now, of course, when you’ve been learning French for a while you start seeing the similarities in the written forms and you get a feeling for how certain words are pronounced. Still, you need to be careful. Always listen carefully to a native’s pronunciation. All nouns in the French language have a gender, either masculine or feminine. Gender is determined by the definite or indefinite article (‘a/an’ or ‘the’ in English). When learning the language, you need to learn the gender of each word with the word itself. When you learn the word ‘’house’’ you should know that is it ‘la maison’. If you get the gender of a word wrong it can be confusing. In French, the adjectives refer to the gender of the noun they describe. From the perspective of a French speaker, the last option sounds very strange. In French, they use ‘belle’ to describe feminine nouns and ‘beau’ for masculine. Each adjective has a masculine/feminine and a single/plural version. The adjective “belle/beau” in French is irregular but most adjectives add an ‘e’ to the masculine singular form to get the feminine singular. If you get the gender wrong, you’ll probably also write/pronounce the adjective of that noun incorrectly. People will probably still understand what you’re trying to say! I’m fluent in Mandarin but I think that I managed to learn more French in 3 months than Mandarin in a year. So is French easy to learn? Well. it’s certainly not as hard as you think! As you can see I’m not very fluent and of course I made mistakes but I managed to hold a conversation in French with polyglot Felix Wang who is a native French speaker. Make sure that you’ve got the right motivation. Learning any language takes a serious amount of effort. List a number of reasons why you want to learn French. Imagine yourself speaking French and become obsessed with your new challenge. Without enough motivation, you will eventually give up and that would be a pity. Learning French becomes more fun when you set goals for yourself and create a plan how you can achieve those goals. Don’t be too ambitious; ‘speaking fluent French by the end of this year’ sounds cool but it’s not very specific. Better, work with so‐called ‘mini‐goals’; goals that are relatively easy to accomplish within a few months or weeks. How do you apply these goals?? Study 30-60 minutes per day with a resource that fits you. 3. It’s time for action! Now it’s time to get started for real. If you want to become conversational quickly, you need to find good learning materials that teach you the most important words and phrases first. Learning from books that teach you difficult words and tricky grammar can be overwhelming, frustrating and time-consuming, so don’t do that! Instead: Learn the first things first! The Pareto principle (also known as the 80–20 rule) basically states that you get 80% of the results from 20% of the work. This principle can be applicable in language learning as well. “What’s your name?”, “Where are you from?”, “What do you do here?”, “Do you live here?”, “How long have you studied….. for?”. To create your first sentences you need words like; I, you, to like, can, to do, today, to want, to be, expensive, big etc. You will be surprised by how many things you will be able to say by knowing only 200 words and knowing how to use them. Of course, your speech will be limited, but it’s a great way to start! Watch the video below to see how we can apply this strategy in language learning. 4. Speak French, even if you think you can’t! what basic grammar features you need to know. something ‘real’ and is good for your momentum. In the beginning, the main goal of your speaking sessions is to simply interact in your target language with the basic words you know. At this stage it’s not important what you say, it’s more about trying to say something and keep the conversation alive. Making mistakes is 100% allowed! Many language learning products claim that learning can be almost effortless. The real reason why some people succeed in language learning and others don’t is that some don’t have enough motivation and willingness to practice the language over a longer period of time. Sometimes it might just all seem to be too difficult, but in fact, it’s only a matter of more practice and exposure to the language. So follow your game plan and put in the hours. You will be able to make fast progress, especially in the beginning. Now that you’re ready to start to learning French you need to start by focusing on what matters the most at the beginning stage; learning the most important vocabulary. VocaBooster French is ideal for this because it contains hundreds of words and example sentences which will allow you to hold basic conversations from the beginning! In conclusion – no. French is relatively easy to learn but it does take some time and effort. As French is closely related to English, I have to agree with the graph of the Foreign language institute at the beginning of this article, that says that French belongs to the easiest group of languages to learn for English speakers. Having so much common vocabulary helps a lot! And yes, French pronunciation and grammar can be a little tricky sometimes, but I actually only found out about most of the difficulties when I was doing research for this article. Don’t worry about the difficulties. When you’re driving a car and you want to get to a destination you’ve never been to before, you don’t worry about potential obstacles. Just set your destination in your GPS, anticipate the obstacles and keep driving ‘till you get there. In other words, set a learning goal, keep correcting yourself and keep practising until you reach your goals. Make sure that you set a challenging learning goal for yourself, find good materials and a tutor that suits you, enjoy the learning process and put in the time! Want Fast French Without The Grammar Headaches? If learning French is on your to do list, but you're fed up of traditional textbook and grammar-based learning methods, then you're going to love the new course I'm developing. 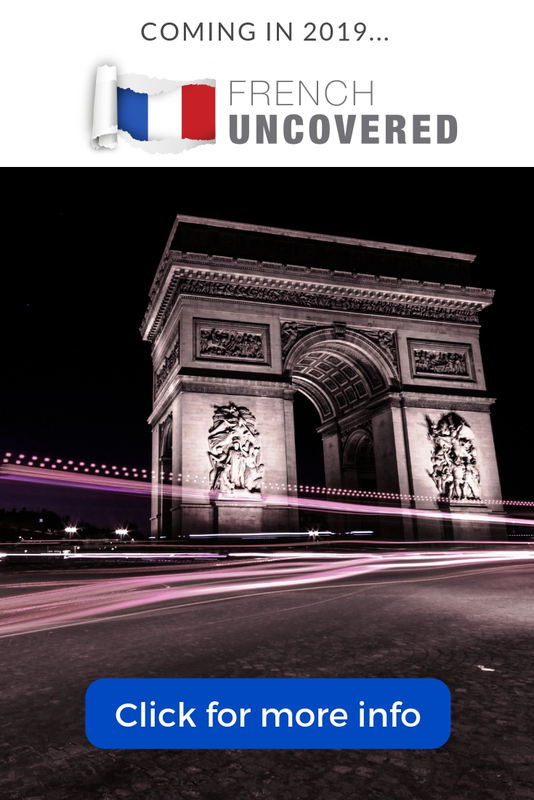 It's called French Uncovered and it'll enable you to go from beginner to intermediate level in French fast, without pouring over endless pages of grammar books and verb charts. Instead, you'll learn French through the power of story, in a natural way, so that you intuitively know how to use the key grammar and vocab when you speak, a bit like a native speaker. 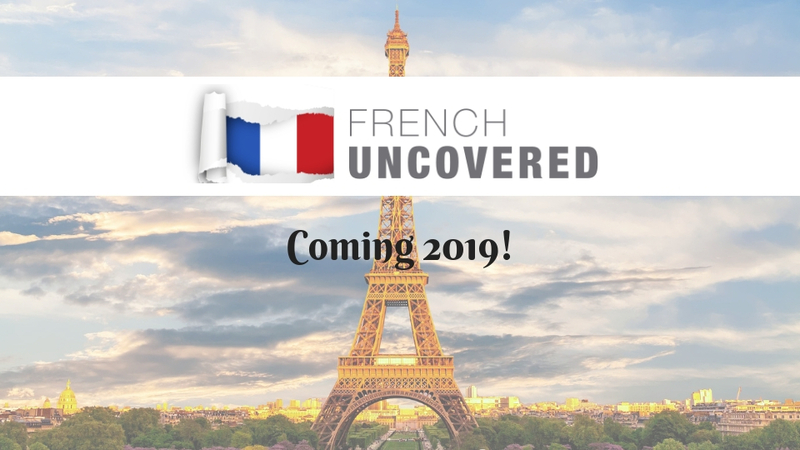 If that sounds like something you'd love to achieve for yourself in French, then sign up here to find be the first to know when French Uncovered is released. Jan van der Aa is polyglot from the Netherlands and founder of Language Boost, a site dedicated to helping learners take the fast path to fluency in their chosen language. What’s your experience of learning French? Do you think it’s a difficult language to learn? Let us know in the comments!